Capitol Hill’s Seattle Preparatory private high school is making plans for a $30 million overhaul after discovering that two of its main academic buildings would be vulnerable in the event of a significant earthquake. But first it must raise the money to pay for the projects from the system of donors and philanthropists connected to the 120-year-old school living on a 106-year-old campus. Planning is under way for several campus projects, including a new elevated parking platform, a building expansion and demolition of an amazing — but well past its prime — school building. Though the expansion and demolition projects await funding, the school is ready to move forward with a plan to provide bus parking off Delmar Ave E across the street from the entrance to Interlaken Blvd. 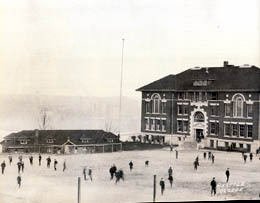 Up the hill at the school’s main campus on 11th Ave E, a renovation and expansion of Peyton Hall would change the center of the school’s grounds. Designed by LMN Architects, the new section would bring the building’s front closer to the center of campus and create a new entryway. The expansion would make up for space lost in the demolition of Adelphia Hall, which is showing signs of its age and has “safety deficiencies,” according to a presentation on the project by Seattle Prep last year. Going into the campus planning study, we knew that we had a problem with Adelphia based on its age. The study confirmed that Adelphia lacks seismic capacity, its mechanical and electrical systems are at the end of their life, and the learning environment is substandard. One of the biggest surprises uncovered by the study is that there are nearly as many issues with Peyton. While Peyton’s structural condition is far better than Adelphia, its mechanical and electrical systems are also beyond their useful life and will soon need to be replaced. In addition, the building was originally designed as a residential dormitory and, in its current configuration it is not well suited to the academic use it now serves. Lastly, the size, location and configuration of the cafeteria as the primary food service facility were noted by nearly everyone as needing improvement. The space currently occupied by Adelphia would become a sports field of some kind, though the space would not allow for a regulation-sized field for many sports. The expansion and demolition projects will cost an estimated $30 million. The school is ramping up the capital campaign process to raise the funds. Tuition to attend the school approaches $14,000 a year but officials say those funds go to pay for operational costs and still must be supplemented by giving just to operate the school. Paying for large construction projects will require support from religious and educational institutions. In the meantime, work could begin soon on Seattle Prep’s land off Delmar Ave E to build a new bus facility — a move hoped to give the school much needed space and, some in the community hope, activate a leafy area sometimes used by homeless people to camp out. The 120-year-old private Jesuit high school owns the plot of hilly and wooded land between Boyer Ave E and Delmar Ave E just south of 520, but the space goes largely unused today. 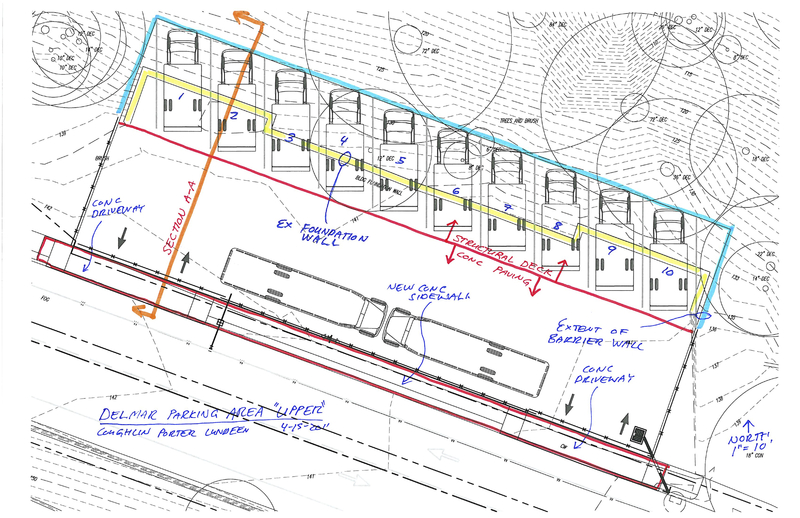 Though plans at one time included a lower-level parking lot with a driveway off of Boyer Ave E, newer plans call for a larger parking space built on an elevated structure that would have access from Delmar. The baseball batting and pitching cages will remain in use as they are currently, according to Jay Henning, Facilities Chair at the school. 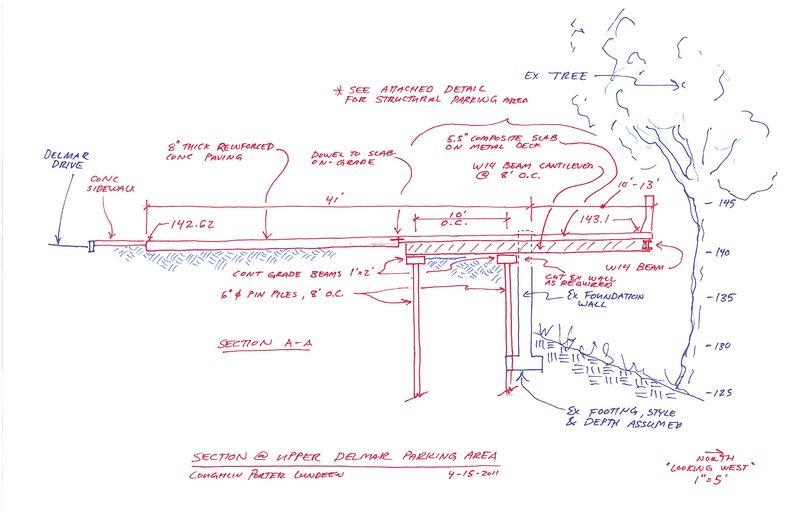 “Imagine a cement pad elevated to the road height on Delmar with a gate in and a gate out,” said Henning. The $1.1 million pad, elevated 15 feet from the ground, will be used as storage for six smaller buses and one large bus that are currently sitting on the main property on 11th Ave E. It will be placed where a house used to be located before it was damaged by the 2001 Nisqually earthquake. Construction could begin as soon as October and is expected to last two or three months. The school will likely hold a community meeting sometime in September, said Henning. 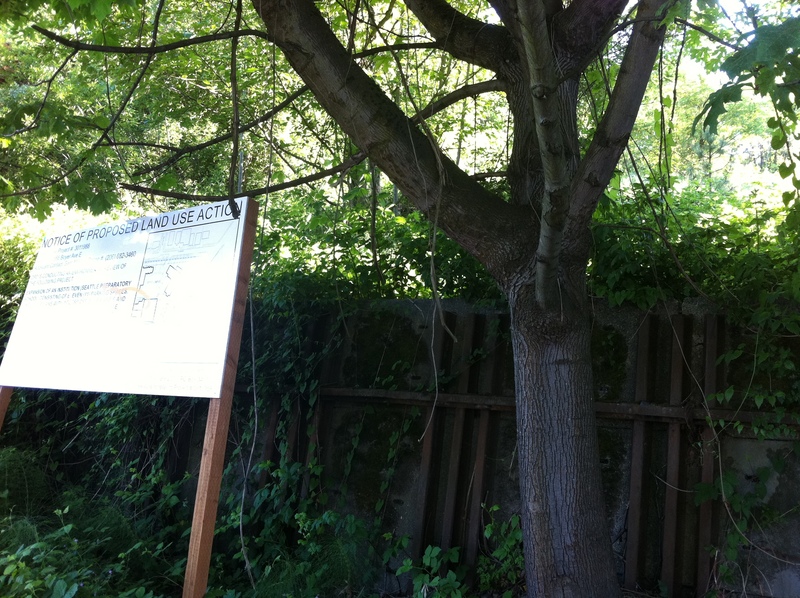 The current plans are a bit different from what they has previously proposed (and what is shown on the Notice of Proposed Land Use sign at the site currently). I think it is Hysterical that Jay Henning a chair member of the school is quoted saying “We’re gonna do some cleanup to keep the bums out,” said Henning, “so there are no hiding places.” What kind of joke is this supposed compassionate school? Better keep those bums out. Those bums are human beings down on their luck, many in desperate situations. Some with mental health issues all needing compassion. This school is a hypocrisy and it is not just this comment. Its so many of the the things they do. They sneak past the law to get what they want. They are sinister. And they have had there own cover ups including father John in 1985 who liked to take young girls out to ‘jog’ alone.